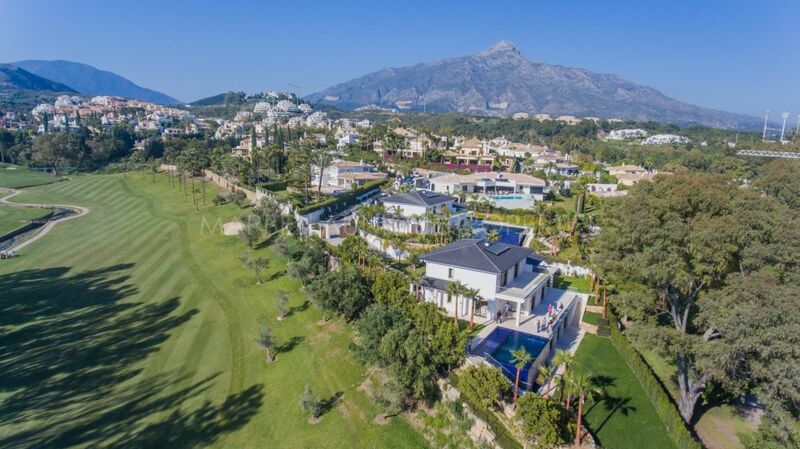 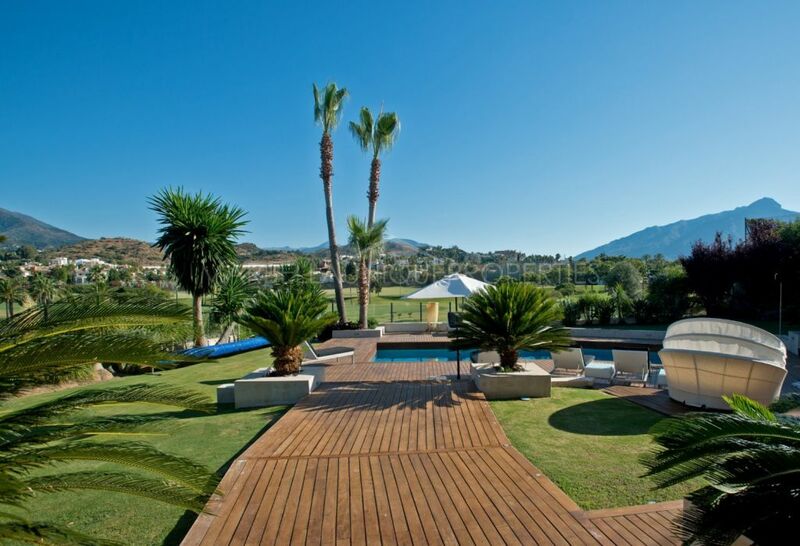 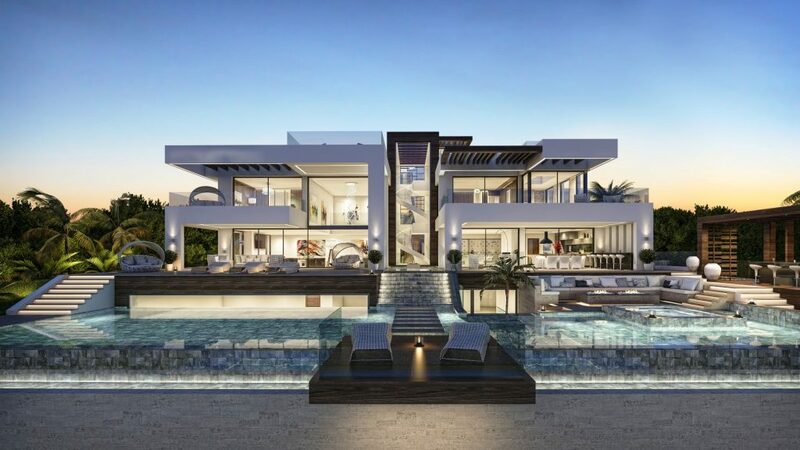 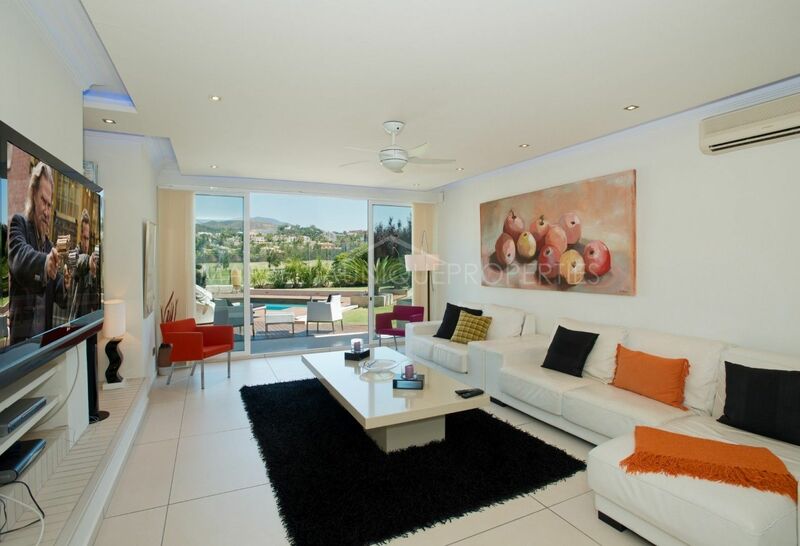 Renovated in 2014 this contemporary villa offers amazing open views over Los Naranjos Golf course in Nueva Andalucia. 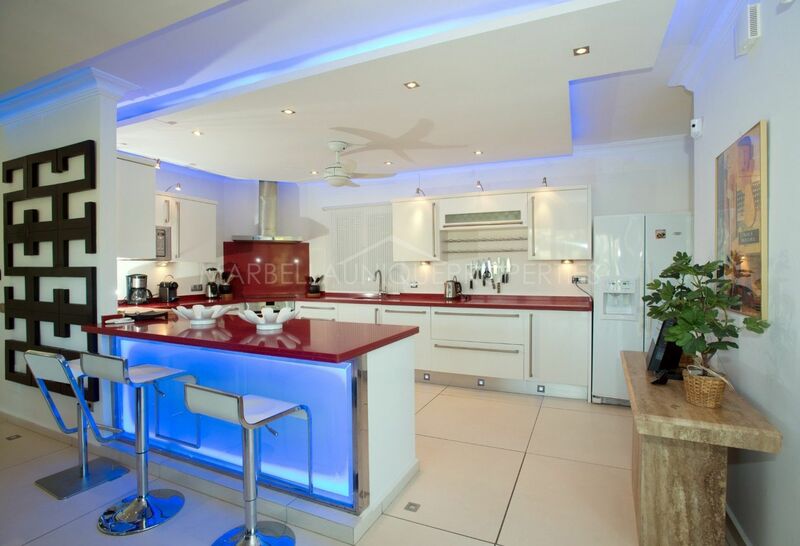 The property is built on 2 levels and includes an ample living room, fully fitted kitchen with breakfast bar and dining table for 10 people. 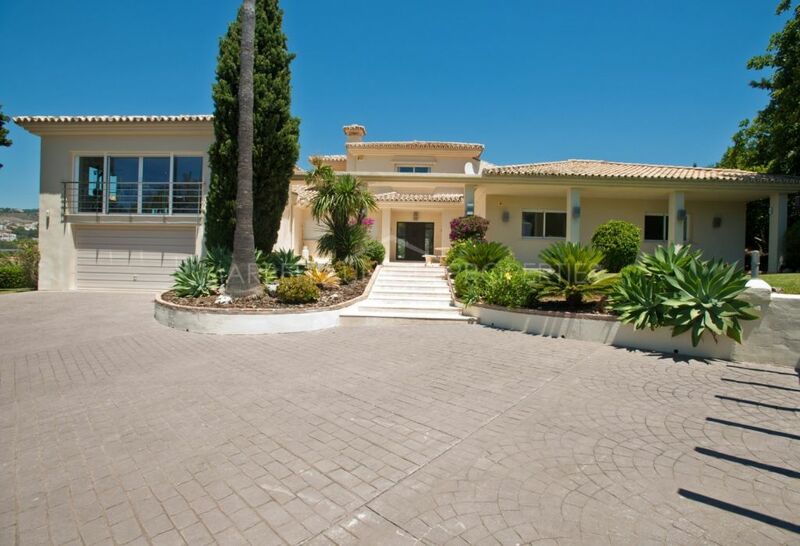 5 spacious bedrooms, 6 bathrooms and a guest toilet. 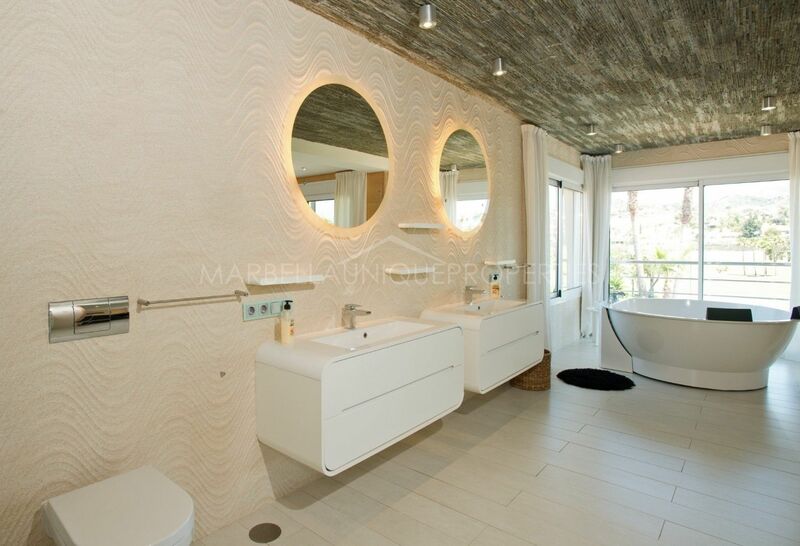 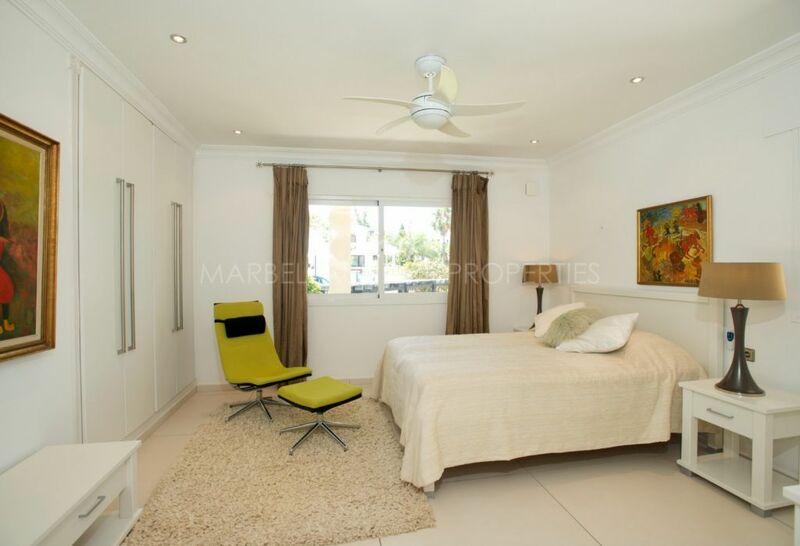 The master bedroom continues into the open plan bathroom with Jacuzzi bath, private terrace and views over the golf. 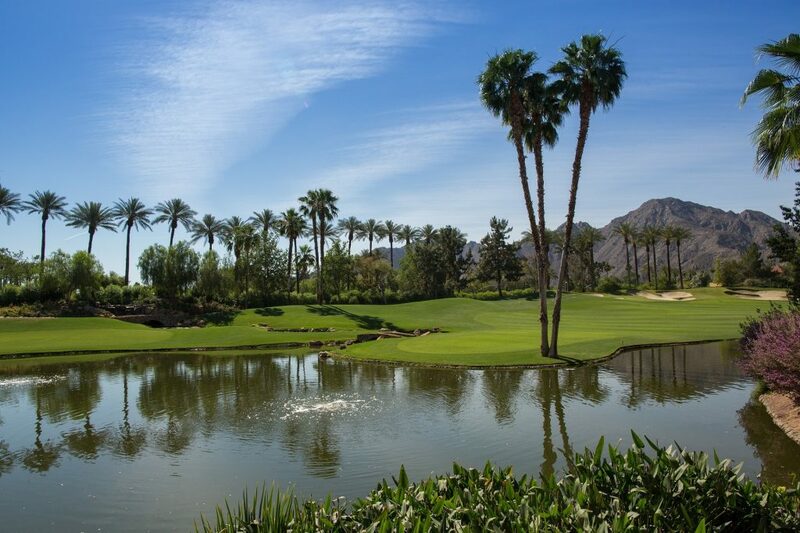 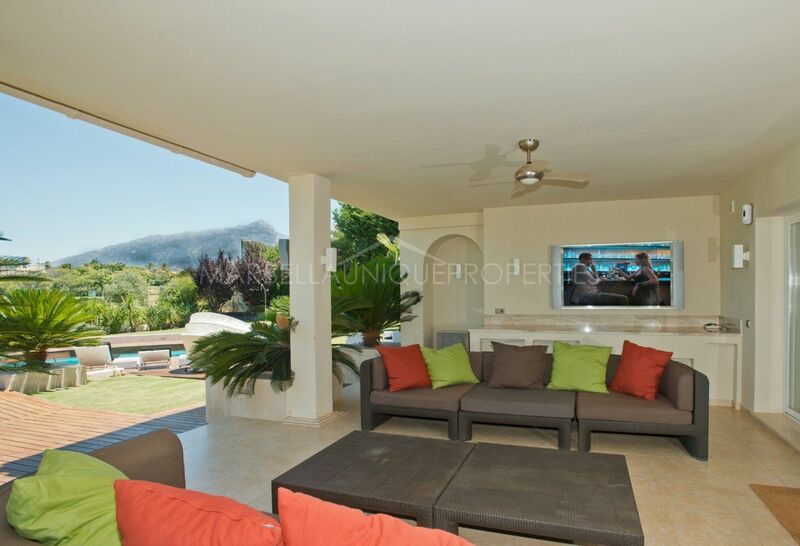 The property includes a state of the art illumination system, satellite TV, marble flooring with unique large tiles, air conditioning hot and cold plus ceiling fans, modern fireplaces, a full gymnasium and a private office. 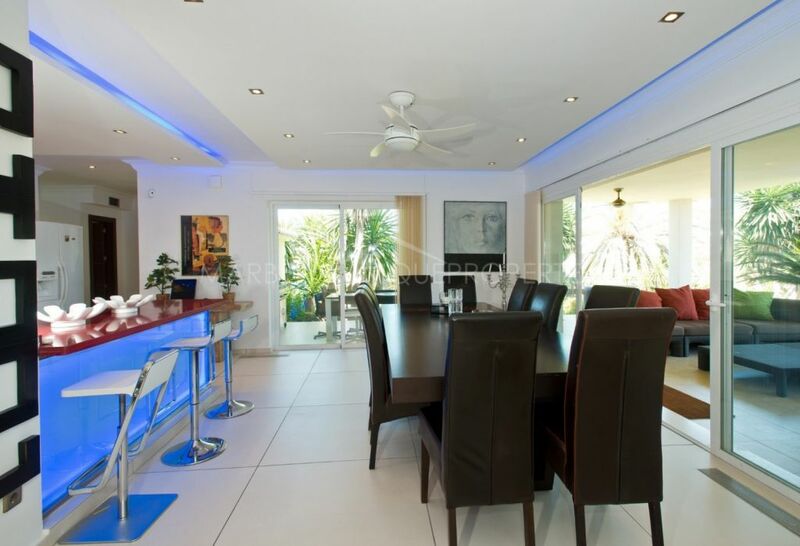 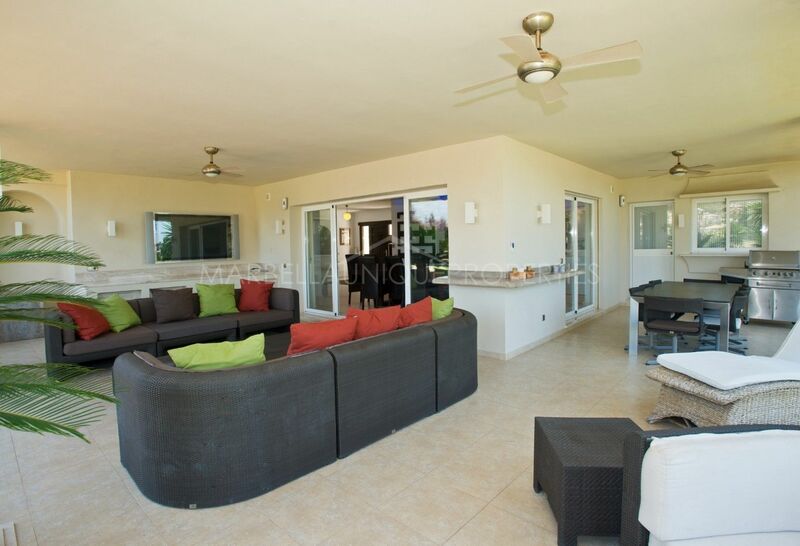 Built to high quality finishes, this villa offers various outdoor covered dining and relaxation areas, along with low maintenance gardens and a wood decking around the swimming pool area. 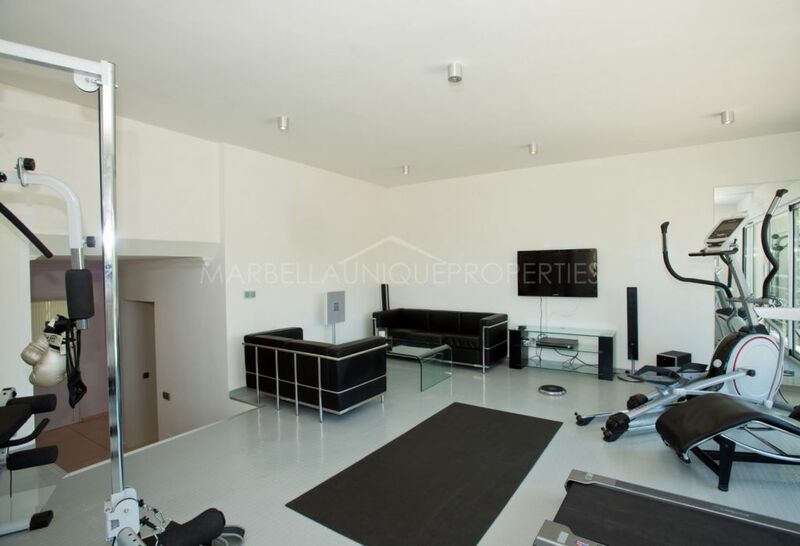 A private garage with space for 2 cars, the furniture in the property is not included in the sales price but can be negotiated separately if desired. 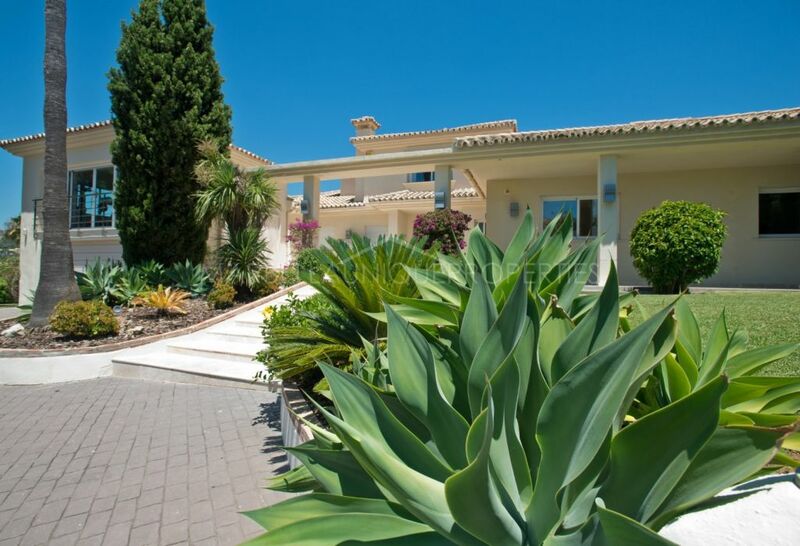 The area is well known and is gated at night. 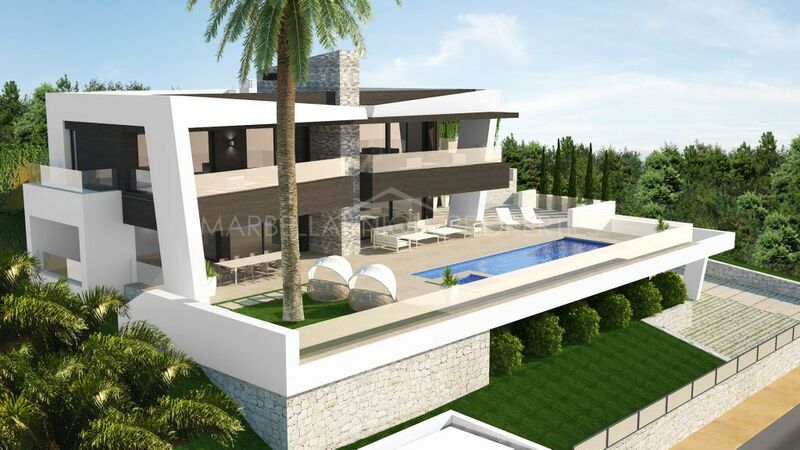 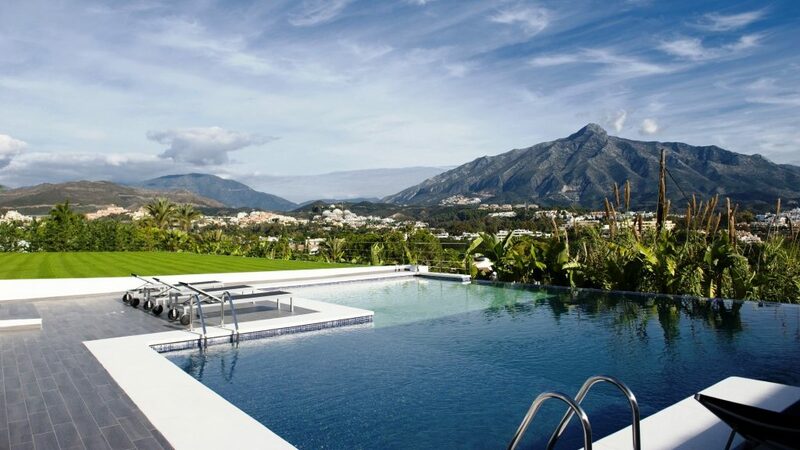 This villa is located within a 2 minutes’ walk from Los Naranjos Golf Club, close to schools and within a 3 minutes drive to Puerto Banus and the N-340 coast road in both directions. 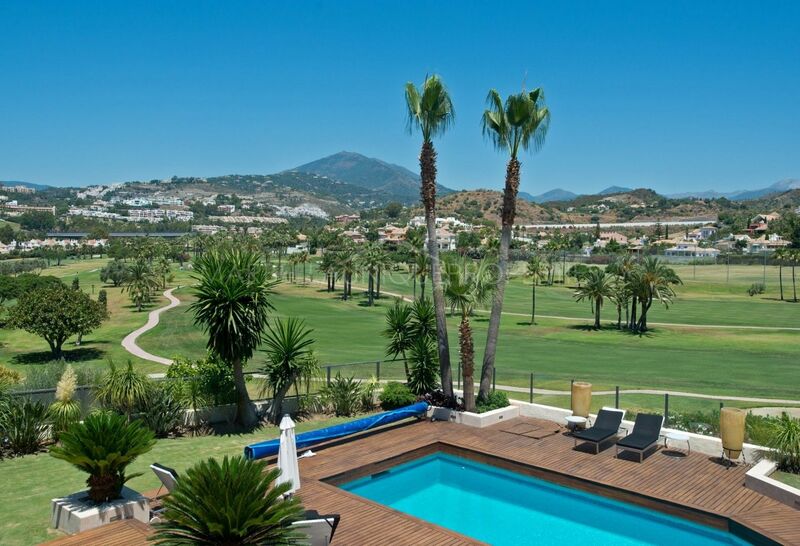 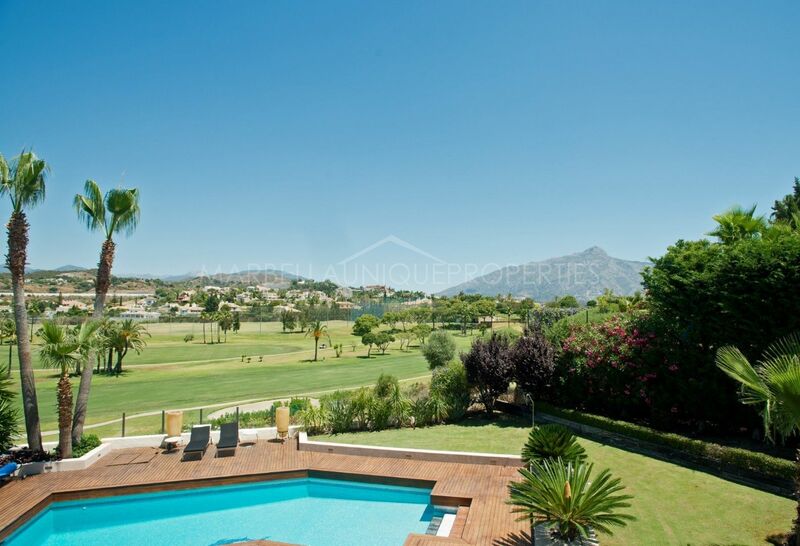 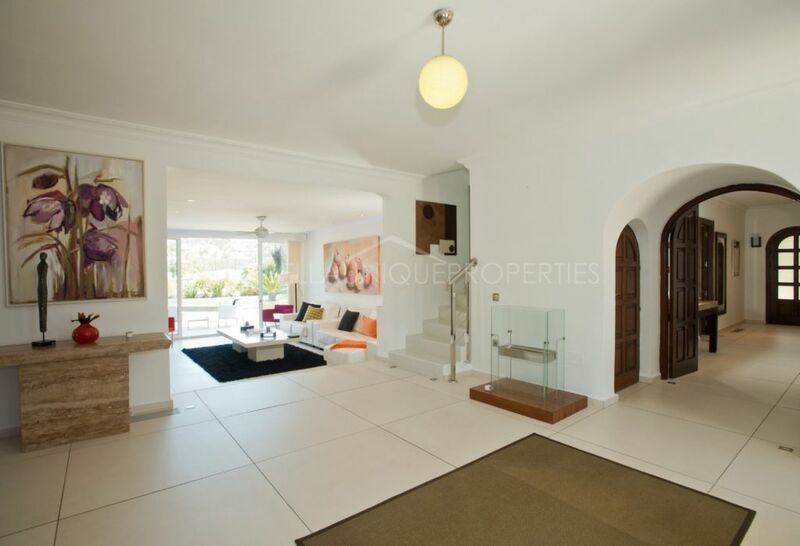 Please, send me more information about ref 239-00478P, Villa in Los Naranjos Golf, Nueva Andalucia or similar properties.